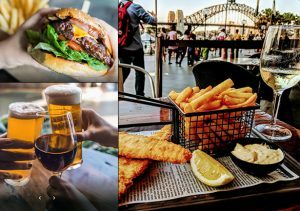 Oz Jets Favourite eats around Sydney! 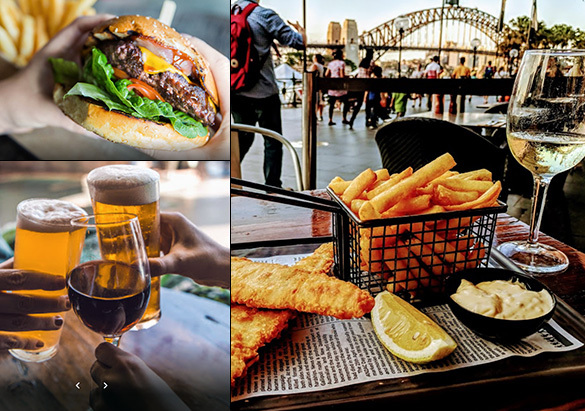 Well, our mates over at Buckley’s are conveniently located just a few short steps from our wharf in Circular Quay. These guys have something to even satisfy the pickiest eater in the family, feeling like a parma? They have it. What about a juicy beef burger? They have it. Pizza, everyone loves pizza, right? They have it. And they have so so much more. 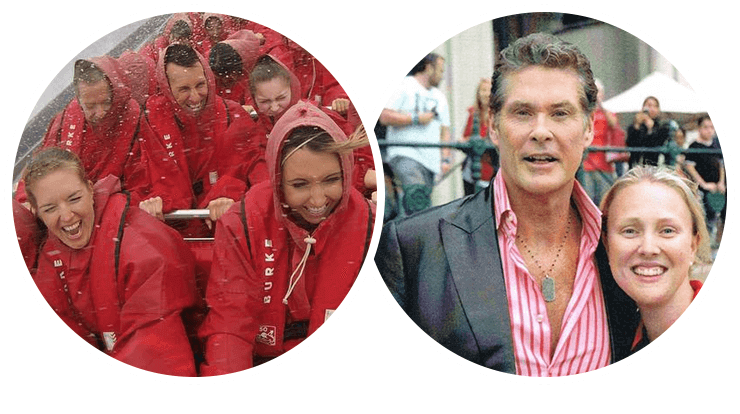 And make sure you tell them the crew at Oz Jet says HI! Pancakes on the Rocks is a staff favourite here at Oz Jet and is just a short approx. 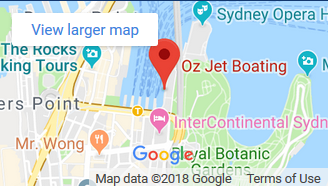 11-minute walk from our wharf in Circular Quay. These guys have been making pancakes since the 60’s and we reckon they are pretty awesome! But if pancakes aren’t really your thing, no need to worry they have you covered, why not grab some pork ribs, or some fish and chips or a big serve of nachos, plus they have much more to fill your tummy. 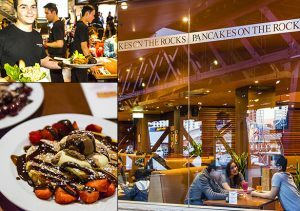 And with their Rocks location open 7 days a week, 24hours a day, you can get your pancake fix at any time, how awesome is that? 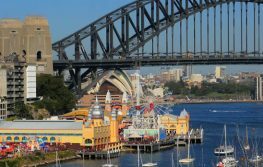 Looking for that something a little fancy and with an amazing view of Sydney Harbour? Well, Aria will deliver. Part owned by one of Australia’s best chefs Matt Moran and with Executive chef Joel Bickford at the helm, you can enjoy some phenomenal dishes created from seasonal produce and that can be paired with some of Australia’s finest wines. 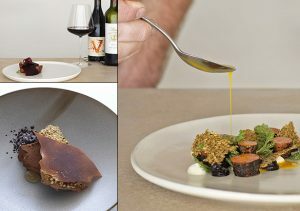 This dining experience is definitely one you will remember and will be telling family and friends about for years to come. 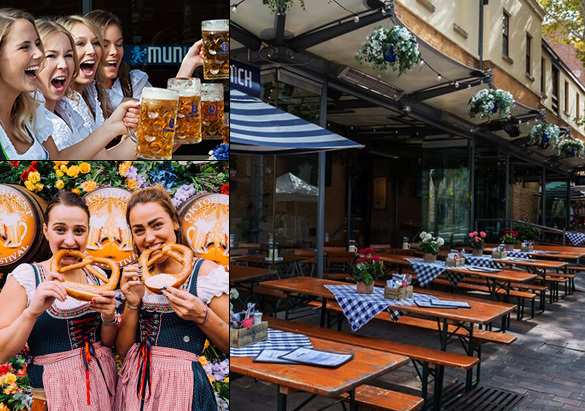 Munich Brauhaus in the Rocks is here to inject a little Bavaria happiness into your life. 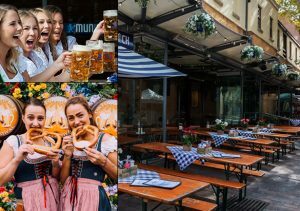 Here you can enjoy all of your Bavarian favourites: Giant pretzels, crispy pork knuckle, schnitzel, sauerkraut, cold beer and apple strudel – what more could you ask for? Oh, and did we forget to mention $1 chicken wings? Yes, you heard right $1 chicken wings during happy hour, weekdays between 5pm-7pm. 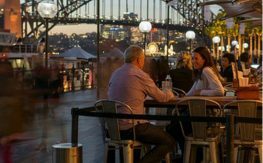 Again only a few short steps opposite out wharf in Circular Quay, you will find some more of our friends over at Searock Grill. 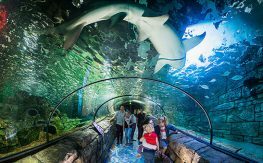 Looking for an injection of seafood into the diet? Well, Searock can help with this. 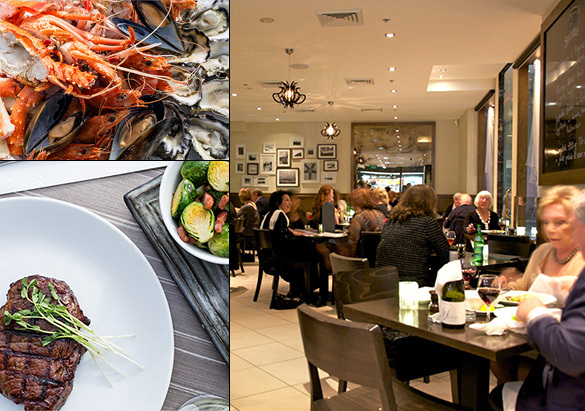 They offer seafood patters with the likes of blue swimmer crab, mussels, prawns, Sydney rock Oysters and Moreton Bay bugs…. Um YUM! But if seafood is not your thing that’s ok, they also have an extensive menu which also features a range of burgers, steaks, salads and more. Now we wish we could include all of our favourites, but to be honest we would be here writing that list for days. 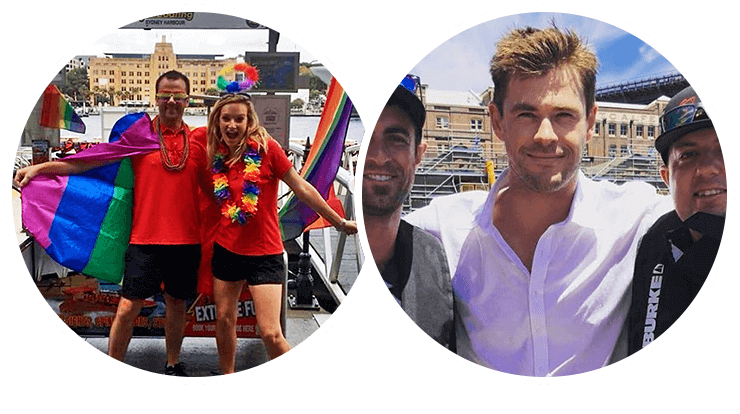 But we hope we have offered some great options above for all occasions and price ranges, but just in case you need a couple more options we have added a few links below to check out many more options around Circular Quay and the Rock! Happy dining!